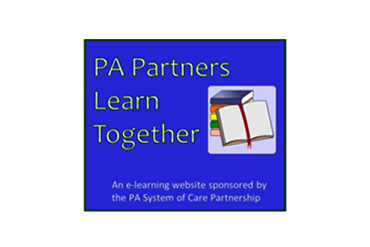 During 2018-2019, the PA Care Partnership would like to offer various learning opportunities for counties focusing on the system of care values and principles and the system of care standards. 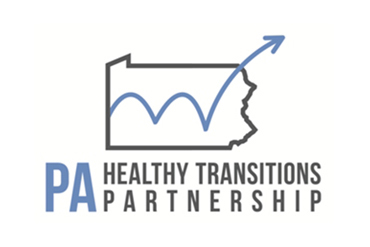 This will be accomplished by holding Technical Assistance (TA) calls/webinars with all counties participating in the PA Care Partnership, including partner counties, expansion, and sustainability counties. Each call will be scheduled on the fourth (4th) Tuesday of the month at 2:30 pm for one (1) hour. Sessions will be recorded to all allow for flexibility for youth, families, and system partners who are unable to attend the scheduled meetings. There are also opportunities for counties to meet in person through regional meetings and county meetings. Information will be posted on the PA System of Care Partnership website, www.pacarepartnership.org for those unable to attend. Meeting registration information will be sent to participants two weeks in advance of the scheduled date and from there the GoTo meeting log-in information will be provided. How Trauma Informed integrates with their System of Care County. For copies of Trauma-Informed Agency Assessments please go here for our resource page. August 28, 2018- GoTo Meeting -Introduction to the System of Care. Integrated serving systems ensure that services and supports are integrated at the system level, with linkages between child and transition-aged serving agencies and programs across administrative and funding boundaries and mechanism are established for system-level management, coordination, and integrated care management. In a system of care, being data-driven means that decisions are made using concrete information about what is happening, rather than personal stories or gut feelings. Data may include information about which children and youth use the most intense services, what characteristics they have in common, and whether those services are accessible. A key part of data-driven decision-making is identifying high-risk children and youth and providing timely interventions to prevent more severe behavioral health challenges later. The PA Care Partnership, in collaboration with the Office of Mental Health and Substance Abuse Services and various other SAMHSA grants is supporting the implementation of Family Peer Support Specialist training around the Commonwealth. This is a new service to the Commonwealth and is not yet billable to Medicaid. You are invited to learn about the service, hear about the certification process through the PA Certification Board, and hear about updates related to the future funding of this service. Through this interactive learning experience, you can be at the forefront of this family driven service. Youth Driven is about having an authentic youth voice in leadership positions in county and state government where youth are trained, supported, and valued. The youth are supported to share their voice through stipends, transportation assistance, and childcare, with the goal of making their voice sustainable. Opportunities, like youth voice and leadership, are encouraged and made available to youth at county and state level child-serving systems, through the work of System of Care. Youth receive sufficient information and have a primary decision-making role in terms of their care. Family driven at an individual family level means families have a primary decision-making role in the care of their own children. In leadership positions at their county and state providing input into the policies, procedures and funding decisions that govern the care of all children in their communities. Family driven can be realized even within the context of delinquency and/or dependency proceedings, even when there is a feeling of that it is not being driven by the family. In some situations, families may not have the opportunity to drive all decisions, but they should have the opportunity to have involvement in the decisions. We will review this in more detail, as well as other family initiatives and the Statewide Family Organization Grant. Review and discuss family-driven support, engaging families, Technical Assistance, and Training Opportunities. Discussion on general needs for the counties. "This project, publication/report/etc. was developed [in part] under grant numbers SM080147 from the Substance Abuse and Mental Health Services Administration (SAMHSA), U.S. Department of Health and Human Services (HHS). The views, policies, and opinions expressed are those of the authors and do not necessarily reflect those of SAMHSA or HHS."